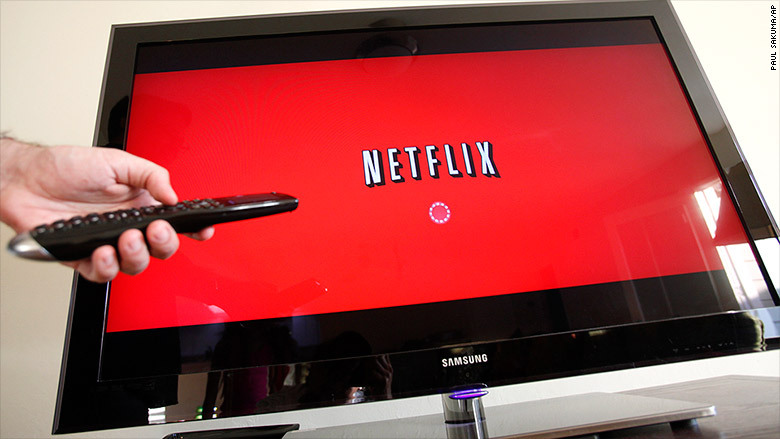 Next time you check into a Marriott hotel room, Netflix might be one of the amenities. The hotelier and the streaming service announced a deal on Wednesday that will place a Netflix app on in-room TV screens at 100 Marriott properties by the end of this year. The app is already up and running at half a dozen properties in New York City, San Jose and elsewhere. The two companies called it a "groundbreaking partnership to revolutionize the guest room entertainment experience." Really, it's a way to get hotel guests to turn on those fancy flat-screen TVs that hotels installed en masse a few years ago. Hotels have noticed that more and more guests aren't using the TV at all during their stays. Think about it: the interfaces are sometimes clunky and the channel lineup is usually unfamiliar. Finding something to watch can be a chore. So guests are increasingly streaming whatever they want to watch to their laptops and phones instead. Marriott's pact with Netflix is an acknowledgement of this. It's also a way to differentiate itself from rivals like Hilton and Hyatt. "With this agreement, Marriott Hotels is the first hotel brand authorized to offer guests direct access to their Netflix accounts as part of its guest room entertainment offering," Marriott said in a press release. The deal reflects the strength of the Netflix brand. Hotels used to, and to some extent still do, promote the in-room availability of HBO. Now Netflix is also something for hotels for promote. Netflix won't come free with your room. Marriott guests will either have to sign into their Netflix accounts, or sign up for a monthly subscription through the app. "Guests staying multiple days only have to log in to their accounts once throughout their stay," according to Marriott. "When guests check out all account information is automatically wiped clean from the televisions."